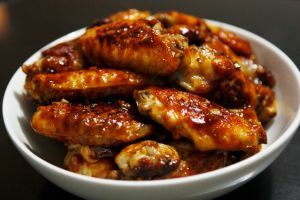 Marinated Chicken Wings is a flavorful chicken recipe with a soy sauce marinade. 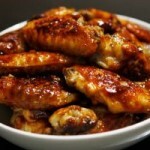 Cut chicken wings in half. Marinate in remaining mixture for ½ hour. Bake at 350 degrees for 1 hour or until marinate is thick. Turn once.